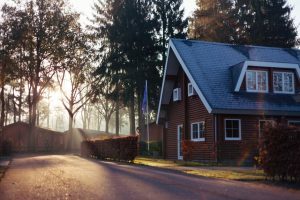 Check the Plumbing Before You Buy a New Home in Riverside! When looking for a new home in Riverside, CA, people tend to focus on location, size, proximity to good schools, and other related factors. Once they find something that they like, many people get too caught up in the excitement and fail to check that everything is in working order. Don’t make this mistake! It is imperative to check the plumbing before you put down an offer. Plumbing problems can pose a hefty financial burden in the future and make your dream home less than ideal. Make sure you check all of the following components before you make a final decision. First and foremost, you’ll want to inspect the pipes for any visible leaks. Do a walkthrough of the house to check for noticeable water damage. Leaky pipes can lead to warps, discoloration, soft spots, and even mold. Look for these warning signs on the floors. If the house has two or more stories be sure to examine the ceilings as well. This is one of the most common problems Riverside houses have. You should also check that the house has both hot and cold water. Run your faucets to see how hot and how cold the water flow is. If the temperature is somewhat tepid, this could be an indication of bigger problems with the pipes. You’ll also want to make sure that your toilets flush completely as weak flushes are another indication of pipe issues. Check the water heater to see if there are any visible signs of corrosion or leaks. Inspect the pipe connections thoroughly to make sure that everything is in order. It’s also a good idea to look at the amount of water the heater can hold in its reserve. If you have a large family, you’ll want a water heater with a high-gallon capacity. Do not, for any reason, touch any part of the water heater without protective gear like gloves. Direct contact may cause burns. Look around to find the emergency shutoff valves. They will be next to your water meter. If you live in a colder region, search inside in an area such as the basement. If you’re in a warmer climate (like Riverside), the valves are likely attached to an external wall. If you still cannot find them, see this article. Once you’ve found them, twist the knobs clockwise until they no longer budge. Turn on the faucets to check for water. If the shutoff valves are working properly there should be no flow whatsoever. 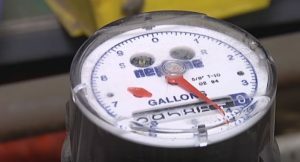 Once you have your shutoff valves engaged, take a look at the water meter. The dial’s needle should be completely still. If it is moving, check that all of the faucets are off. If the needle continues to turn it’s likely that there is a leak in the pipes you haven’t yet found. Though you can do a plumbing inspection yourself, it’s a good idea to hire a professional to do it for you. If you are living in Riverside, California, we’ll be happy to assist you. 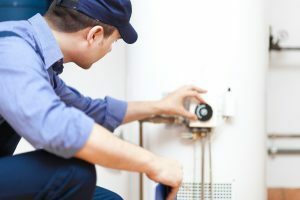 Read more about our plumbing company on Riversideplumber24x7.com. Our expertise will help you find problems that you may have missed. Your home is an investment – a plumber can help you make sure that it’s a good one.